Ling Tou Dan Cong Oolong: Shui Xian. A highly oxidised, premium grade organic tea. Produced in Lingtou village, Yaoping county, Guangdong Province. Harvested in late April Ling Tou benefits from both pan frying and rolling. The leaf is harvested from semi-wild bushes close to the village rather than cultivated bushes. The leaf is large, charcoal grey and open. It has a lovely rich deeply floral aroma. In the cup the bright yellow liquor produces a tea that is rich and honeyed with deep, mellow notes of rose. A gorgeously decadent tea that should be an uninterrupted pleasure. 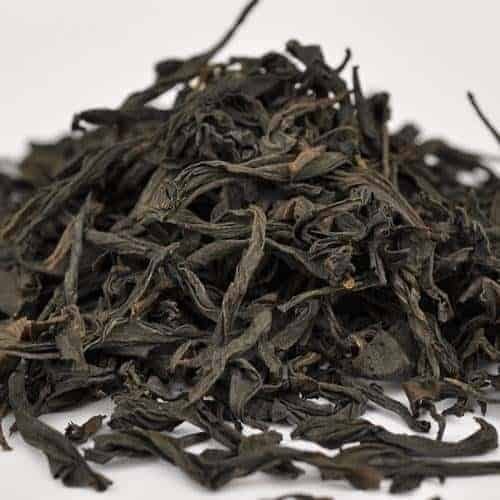 A highly oxidised organic tea produced in Lingtou village, Yaoping county, Guangdong Province, this Ling Tou Dan Cong Oolong is premium grade. Harvested in late April Ling Tou benefits from both pan frying and rolling. 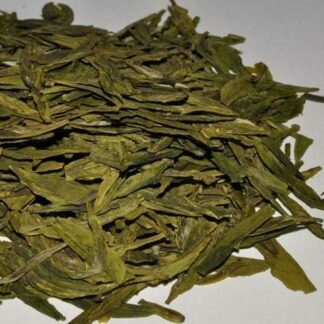 The leaf is harvested from semi-wild bushes close to the village rather than cultivated bushes and contrasts with Phoenix Dan Cong which is grown on the slopes of Phoenix Mountain. The leaf is large, charcoal grey and open. It has a lovely rich deeply floral aroma. In the cup the bright yellow liquor produces a tea that is rich and honeyed with deep, mellow notes of rose. Use one teaspoon per cup and one for the pot with water that has just come off the boil and infuse for five minutes. Alternatively, use the gong-fu method using 5 grams in a gaiwan initially infusing for ten seconds. A gorgeously decadent tea that should be an uninterrupted pleasure. 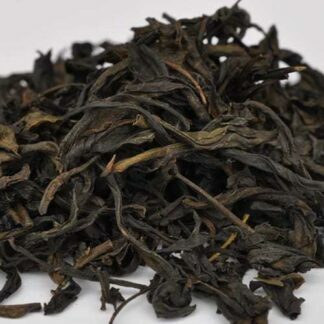 Our teas are loose leaf and we specialise in large leaf grades. All are made using traditional orthodox methods. Our teas are from named tea gardens or defined areas of origin. Ling Tou Dan Cong Oolong has been chosen for its distinctive, balanced flavour, aroma and appearance. Our tea is carefully sourced from long-established shippers. We can therefore guarantee the quality and origin of each tea and that it conforms to UK food and drink health regulations and our own demanding grading requirements. 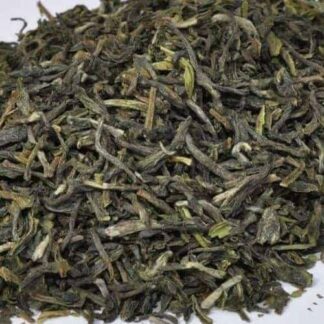 This loose leaf tea enables the full flavour characteristics of the tea to infuse. 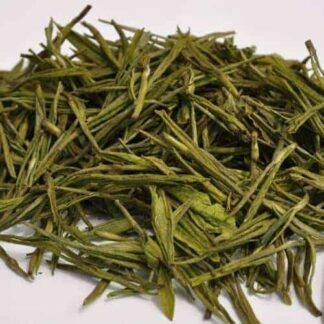 This tea is chosen for its high grade which imparts the flavour and aroma characteristics for which this tea is best known. A little extra time is necessary when infusing large leaf grades but you will be rewarded with a superior, more balanced cup. You will be well rewarded for your patience! There are generally several packing options to choose from. These are 60 grams, 125 grams and 250 grams, the default being 125 grams in a packet. Our silver-coloured packets are a triple laminate of paper, foil and cellophane, specifically designed for tea. Alternatively, you can select a tin caddy for your tea. These square, silver coloured caddies have hinged lids. Again, 60 gram, 125 gram and 250 gram options are generally available as options which can be selected from the drop-down list. Packets and caddies have full-colour labels. For delivery our standard shipping is second class post unless you choose an alternative option such as first class post or courier. Free UK shipping is available for orders over £30 and free first class post can be chosen for orders over £50. Store your tea with care by ensuring it is stored air-tight, away from heat, light, moisture and strong aromas. Our standard best-before period is one year from packing and all teas are packed to order. 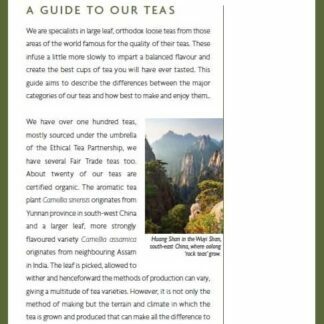 At the checkout you may choose to receive a free, full-colour, eight-page guide to our tea. For more information about buying our loose leaf teas see our page How to Buy the Best Loose Leaf Tea.